Gulets (or motorsailers) are the traditional and luxurious way of cruising the Mediterranean Sea, especially the Adriatic and Croatia. 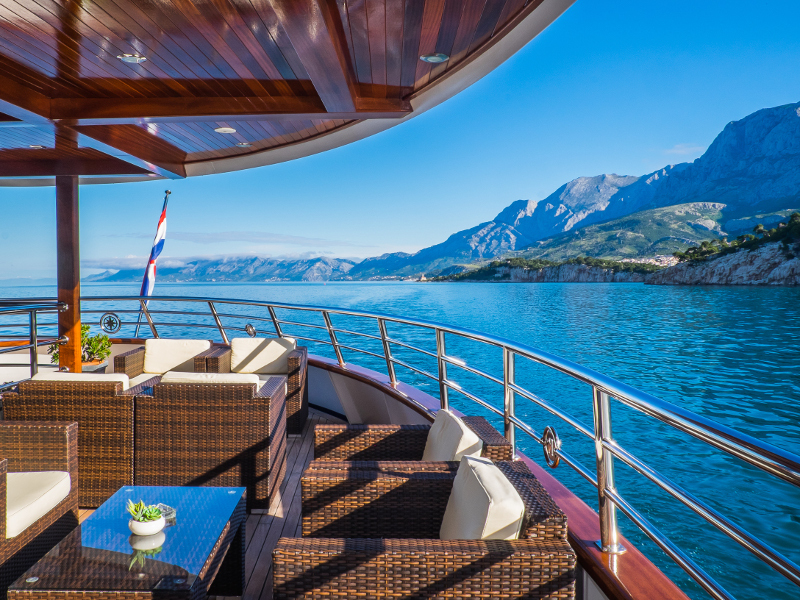 These so-called blue cruises can start in Split or Dubrovnik or Zadar and can encompass the the Dalmatian coast of Croatia and even cross the borders to Italy or Greece (the Ionian Sea, notably Corfu). On a gulet there will be a crew of minimum three - captain, cook, deckhand - but gulets are often fully crewed including also hostesses and more sailors. You will have your own private master cabin with ensuite bathroom, while the crew sleeps in cabins on the other side of the vessel: you will have total privacy on board these motorsailers!
. : Back to Gulet and motor sailer charters :.